If you are reading this post, you already know the importance of link building to increase your search engine rankings. You also know that there is a right way and a wrong way to build links. For more information on what to do and what not to do, read Link Building Strategies Simplified: Dos and Don'ts. Effective link building is time-intensive and requires hours of research. If you are an agency managing numerous clients’ link profiles, do you have the time, patience, or experience to handle this yourself? Some associate the word “outsource” with something cheap, loss of control of processes, and questionable skills. However, there is also the other side where outsourcing to a reputable and reliable firm can save you valuable time and money while helping your clients build their link profiles. Outsourcing, when used correctly and with the right company, is a powerful marketing tool that enables agencies to expand their offerings and offer more and better services to their clients. Although agencies often offer many services to their clients, it is not always possible for them to be industry experts in all their business offerings. This is especially true for smaller agencies that offer a wide range of inter-related services. Link building is an area that requires a lot of careful attention to be sure that your client doesn’t get caught with a penalty should you unintentionally make a mistake. Having a link building expert handle your clients’ link building profiles doesn’t mean you have to give up complete control to the outsourced agency. Quite the contrary. As you represent your clients, you should have decision-making authority and the ability to track results in real time. Like anything you purchase for professional or personal use, make sure you know exactly what you are buying. Complete transparency is a requirement you should expect. Part of maintaining control over work an outsourced link building company is doing for your clients includes knowing where and when your placements will go live and for what cost. There should be no surprises and no secrets. Once your agency starts seeing successes, if you want to continue to grow, you are going to have to start thinking about how to scale without increasing your overhead and liability. If you bite off more than you can chew, hire more staff, and accept more clients, your business could suffer. By outsourcing your link building, you can continue to provide stellar service to your clients. You want to be able to track multiple campaigns for multiple clients easily and in one place. If you let experienced agencies handle your link building process, they will be able to build quality links in less time for your clients. As an agency, you must continue to provide the best services with measurable results for your clients. When it comes to link building if your clients start to see their rankings drop, who do you think they are going to hold responsible? There could be several reasons why your clients see lower rankings. The main reason could be that you are overextended and don't have the time necessary to keep up with changes and updates. If you don’t provide quality results to your clients, you will lose them. This is an ideal situation for you to decide to outsource your link building. When you sign a client, you will be held responsible for the quality of your work. Also, your clients expect that your agency is performing all the tasks associated with your project. Because you want to deliver the best results to your clients, you should only consider hiring a reputable and honest company with a proven track record. But you don't necessarily want your client to know that you have outsourced their link building. And they do not need to know. As long as you continue to provide stellar customer service, quality link building, and measurable results. That is what matters. Choose an outsourced link building company that offers white-labelling services. They should also provide you with the ability to export spreadsheets with your company branding that you can send to your clients. Improve client satisfaction, acquire new clients, and expand your business offerings by outsourcing your link building with white labelled services. Some agencies prefer to manage their own processes while others prefer to outsource every aspect of the link building process. When choosing a company to outsource to, make sure they offer both options. You might think you want to use a self-serve platform, but find that as your agency continues to grow, a managed service platform will better suit your needs. 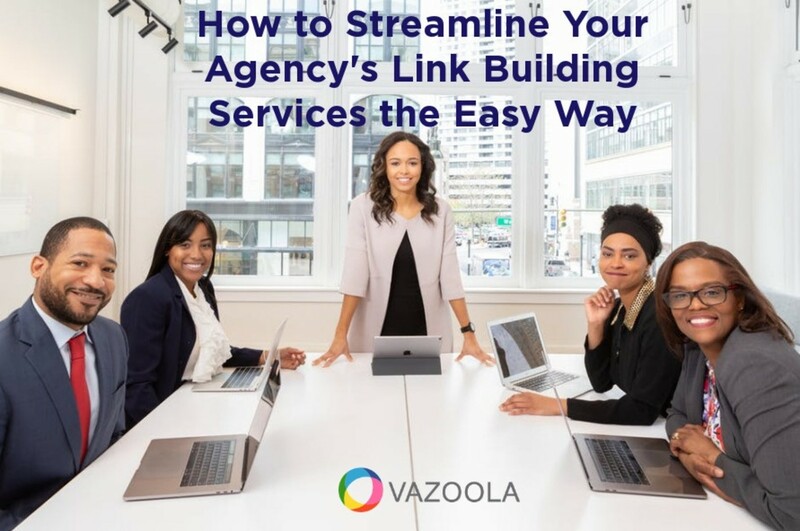 To help your agency grow, conform to best practices, and scale content creation for any number of clients in any industry, you should outsource your link building. If you want to learn more about the best ways to build links, download our Ultimate Link Building Guide.